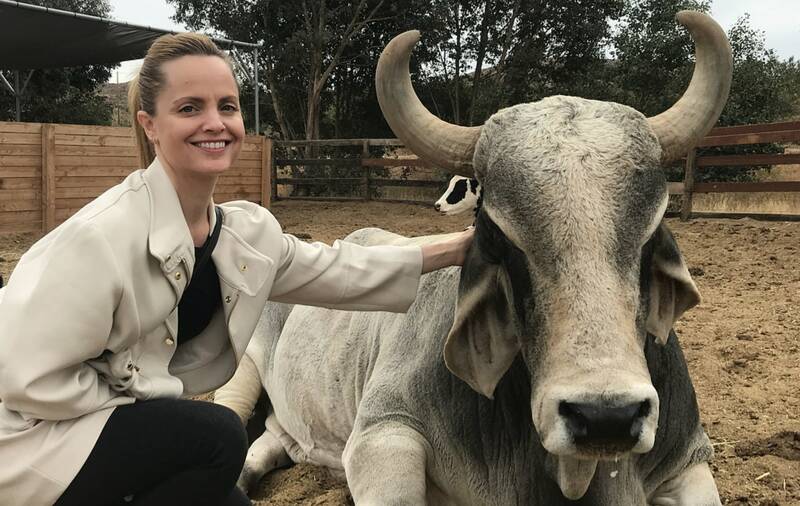 Actor Mena Suvari, who's best known for her role as Heather in hit 90s movie American Pie, has spoken out about being vegan and cruelty-free. According to the star, who made the comments in an interview with Stylish With US Weekly, she is happy to see more people turn away from animal exploitation. Suvari said she ditched animal products 10 months ago - opting for a plant-based diet, as well as cruelty-free beauty products and clothing. Since then, she has attended anti-fur protests, as well as a vegan sanctuary. She said: "Going vegan and cruelty-free is my personal choice and I don't harp on anyone for doing it differently. "I know people in different stages of going vegan and cruelty-free and, whatever, but I believe that everything is energy and it all ties into your whole vibe. "It's nice to see companies coming out more and I think it's a beautiful thing." Suvari also mused on people's reasons for ditching animal products, saying: "I hope people tap into the right reasons of why they're doing it, but regardless, they're doing it. "And if it's because they think it's a trend, they're still doing it and it's good. I think we're creating a bigger consciousness." Sharing some of her favorite beauty tips, she said she loves products by 100% Pure, adding: ""I'm pretty simple with that kind of stuff and I just like having products that are easy. I'll put coconut oil on my face and I don't care." The actor has spoken about her love for animals before - last year, Suvari shared her experiences visiting Farm Sanctuary, getting to know former farm animals better. She wrote: "Today was the first time in my life that I ever met any one of these animals in person and spent time getting to know them. I cannot believe it took me so long. "We have become so desensitized, disillusioned, and disconnected from our interactions with and understanding of the beautiful creatures that we live amongst. "I am honored to have spent time in their presence and am astounded as to how after everything they have endured, they trusted me and accepted me into their space to show me kindness."